Based on the true story of The Bell Witch of Tennessee, An American Haunting is the story of a spirit who brutally attacked the Bell family causing the death of one of its members. Years later, we are taken back to the most horrific of nights to find out the truth of the spirit's nature and origin...the night it was born. While I don't know how true this "Based on a True Story" actually is... I did enjoy this film. It has some great stars in it... speaking mainly of Donald Sutherland and Sissy Spacek.... though the entire cast is good. I would say it is worth the time put in to watch it. Two-time Academy Award winner Hilary Swank and Sam Rockwell deliver unforgettable performances in this incredible true story that co-stars Minnie Driver, Juliette Lewis and Peter Gallagher. Swank plays Betty Anne Waters, a young woman whose world is shattered when her beloved brother Kenny (Rockwell) is convicted of murder and sentenced to life in prison. Steadfastly convinced of his innocence, Betty Anne embarks on an 18-year journey to set Kenny free, using state-of-the-art forensic technology. The unshakable bond between a brother and sister, at the heart of this real-life drama, will stir your emotions and inspire you. This is a great story that easily kept my attention through-out. I really liked the characters... thought the cast did a great job. I had a little problem with the way they did the flashbacks...Felt a little confusing.. you have to really pay attention while watching. But the film is well worth the time put in to watch it. Oscar® Winners Anthony Hopkins and Helen Mirren* are spellbinding in this provocative story about the making of one of cinema's most iconic films. Plagued by both a reckless ego and nagging self-doubt, Hollywood legend Alfred Hitchcock (Hopkins) becomes obsessed with a grisly murder story that the studios won't back. Determined, he risks his reputation, his home and even the love of his wife Alma (Mirren), as he sets out to make the film. Ultimately, Hitch wins Alma over, and the two collaborate to create an enduring masterpiece – Psycho. Also starring Scarlett Johansson, Toni Collette and Jessica Biel. 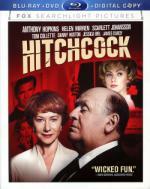 Hitchcock is "a knockout from start to finish" (Rex Reed, The New York Observer). *Hopkin: 1991, actor, The Silence of the Lambs. Mirren: 2008, Actress, The Queen. Hitchcock being one of my favorite directors and Psycho being one of my favorite films I knew I would enjoy this one. And I definitely did. I think they did a fantastic job making Anthony Hopkins look like hitchcock. There was some slow spots but didn't really take away from the film too much. Recommended. Oscar® nominees Laura Linney (2000, Best Actress, You Can Count on Me) and Tom Wilkinson (2001, Best Actor, In the Bedroom) delve into the supernatural in this thriller based on a true story that will test your resolve and, ultimately, your faith. Emily Rose (Jennifer Carpenter, White Chicks) was an average teenage girl who was the target of terrifying demonic forces that would ultimately shock a town and torment her soul. But was she, as many believed, possessed? 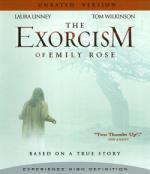 In an attempt to clear the clergymen who exorcised Emily, a skeptical attorney (Linney) awakens to the discovery that powerful spiritual forces may actually exist. This harrowing film unfolds like a recurring nightmare form which there is no waking. Going into this one the only thing I remembered is that I enjoyed it the first time. It says this movie is based on true events. I would like to learn more about the actual events. this one stars Jennifer Carpenter who is the actress that plays Dexter's sister Debra on Dexter. I really liked her in this film and really liked her in Dexter. I really enjoyed the way this movie was done. I think it is a good mixture of horror and courtroom drama. It makes for an extra interesting story line. In my opinion... this movie is well worth checking out if you haven't already. It's an event that shook the world. Honest, unflinching and profoundly moving, United 93 tells the unforgettable story of the heroic passengers and crew members who prevented the terrorists from carrying out their plans for the fourth hijacked plane on September 11, 2001. As on-ground military and civilian teams scrambled to make sense of the unfolding events, forty people who sat down as strangers found the courage to stand up as one. This is an interesting movie...not a movie I could say is enjoyable... but it is worth the time put in to watch it. It is a very hectic film... which is understandable considering the subject matter... but it also made it a little on the hard side to follow. I would have also liked to seen more of it taking place on the plane instead of at the control center. Inspired by true events, this shocking new thriller is a grisley journey into the the nightmarish world of the B.T.K. Killer. I wasn't really to thrilled with this one. The story line itself was merely ok. And I found the acting stiff and wooden. Then there is the fact that I couldn't find a single character I cared about. Top all that off with low budget production value. I wanted to like this one as the story line had potential and I do like Kane Hodder. But unfortunately there was very little to enjoy in this one. Two-time Academy Award® Winner Hilary Swank* delivers an unforgettable performance as Amelia Earhart, the legendary American aviatrix who boldly flew into the annals of history. 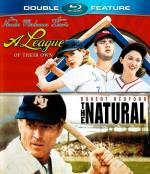 Richard Gere co-stars as her charismatic business partner and adoring husband, George Putnam. Bound by ambition and love, their enduring marriage could not be broken by Amelia's determination to fly — nor her passionate affair with Gene Vidal (Ewan McGregor). 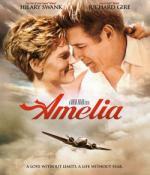 Equal parts gripping drama, stirring romance and epic adventure, Amelia will take your breath away and send your spirit soaring! while it is a bit on the slow side... this was an interesting film. There is a lot here that I didn't know before. This one is worth the time put in to watch it. This is one I have seen several times before. It is one of my favorites. A good, fun story filled with a lot of big names. If you haven't seen this one yet... I definitely recommend it.